The Urban Companies is an established full-service real estate development and design/build company with a proven record of success. Our company is structured to handle the complete lifecycle of a project, from design to development to construction. By drawing on our diverse project histories, we help ensure that our clients end up with a property that is functional, aesthetically pleasing and economical. 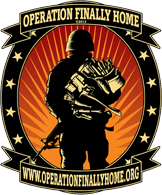 Urban Companies is proud to partner with Operation FINALLY HOME, a non-profit 501 (c)(3) organization providing homes to wounded and disabled Veterans from the war on terror. Check out our latest progress at Grandway West. Aerial video footage shows a three dimensional perspective of the new development by Urban Companies.